Dentures are removable substitutes for missing teeth. 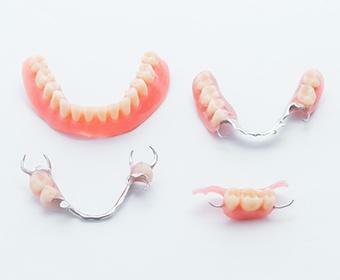 Full dentures are used when a person is missing all their natural teeth, while partial dentures replace only a few missing teeth here or there to eliminate gaps and improve chewing. Denture treatment is customized specifically to each patient, and Dr. Lankupalli and Dr. Patel can help you decide which option works best for you. 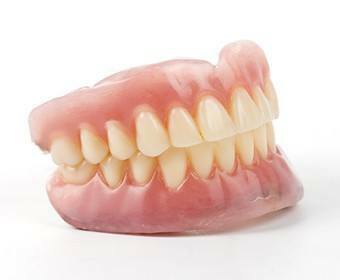 A complete denture consists of a thin, gum-colored acrylic base that rests on the gum tissue. Porcelain or acrylic replacement teeth built into the base give the appearance of natural teeth. We know that your smile is unique, and Dr. Lankupalli and Dr. Patel have the experience to help you select the teeth that will look the most natural. This also gives you the option to customize the way you look, whether you want a "new" smile or to recreate the one you had. 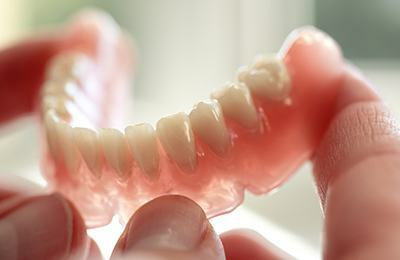 While dentures boast a long history of successful use, modern technology offers some options to enhance the way dentures fit and the way you look. In many cases, dentures can be secured more firmly to your jaw with the use of dental implants placed in the jaw. In addition to having greater retention and a more natural look, implant-supported dentures tend to last longer. Dr. Lankupalli and Dr. Patel can discuss these options and help you understand the ways they can improve your experience with dentures. Most partial dentures contain a thin metal framework that is designed with small metal clasps that wrap around the gum line of existing teeth. This allows for a smooth, non-bulky feel. The framework is supported by your natural teeth to provide a reliable, secure appliance that is easy to use and remove. Where teeth are missing, natural-looking replacement teeth are attached, and gum-colored acrylic is used to cover the metal framework. Your mouth and your needs are unique, and Dr. Lankupalli and Dr. Patel always work with skilled technicians to create a solution that is functional, comfortable, and aesthetically pleasing. We look forward to discussing your options to make your smile full again and give you back a confident, glowing smile!